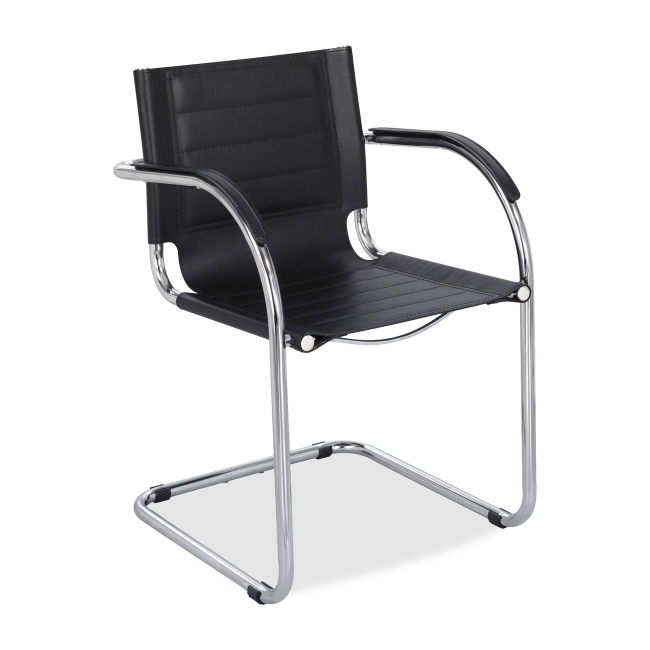 Guest chair is a part of the Safco Flaunt Chairs collection. Leather seat and back feature stitched accents for a sophisticated look. Matching leather strips cushion the integrated arms. 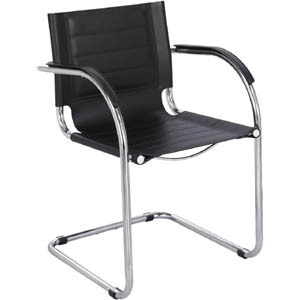 Steel frame includes chrome metal accents and a sled base. Guest chair holds up to 250 lb.